After nearly six decades on the corner of Fatherland and S. 11th Street, Bill Martin Foods is closing its doors for good. 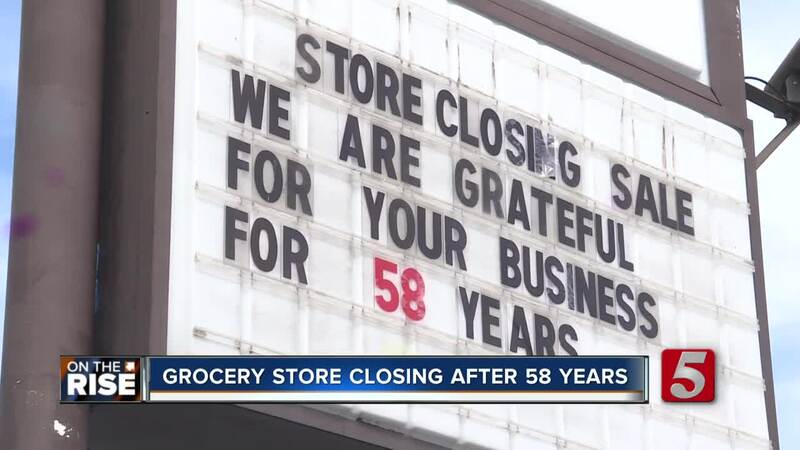 NASHVILLE, Tenn. (WTVF) — After nearly six decades on the corner of Fatherland and S. 11th Street, Bill Martin Foods is closing its doors for good. In recent years, the store has stuck out in the neighborhood. The 58-year-old shop is surrounded by newer stores and modern condos. Employees said it is one of the last remnants of what the neighborhood used to be. "It breaks my heart. It just breaks my heart. I don't want to cry but its hard," Barbara Birdsong said. Birdsong has worked as a cashier at the grocery store for 27 years. "We're all family, all of us. They’re not customers, they’re family." In some cases, they were literally family. Belinda Tobitt met her husband, Jerry, when the both worked at the store as teenagers. "He used to set up groceries and I worked the cash register," Tobitt said. They have now been married 17 years. "It's just very emotional knowing that this is the end...even though I'm not in here all the time, you come in you see memories." On Saturday, most of the store's shelves were bare as customers picked through what was left. Workers said they weren't sure what was next for the plot of land, but said it will always be Bill Martin Foods to them. "This will always be Bill Martin's. This corner will always be Bill Martin's. No matter what goes up here, 58 years is a lot of years to be in one place," Tobitt said. Bill Martin Foods' owner said she sold the building because it was just time to close up. There is no official last day, but it will likely come early next week.